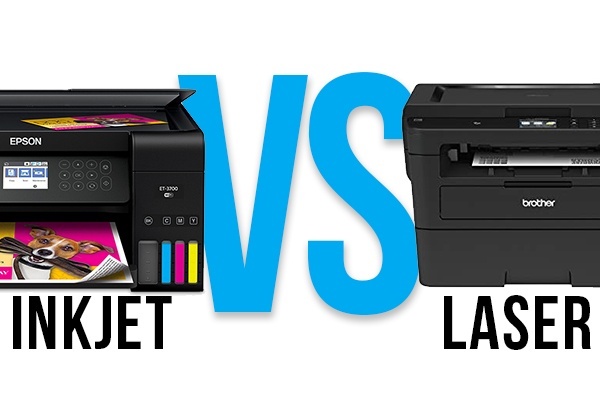 Laser Printers Vs Inkjet Printers - What's The Difference? Laser Printers vs. Inkjet Printers: A Victor Emerges! Inkjet Vs. Laser: A victor emerges! 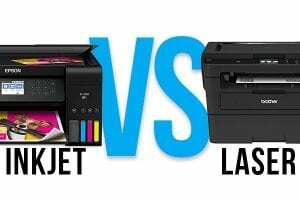 Laser printer versus inkjet printer; which do you choose? All things being equal, the choice is clear. A laser printer is a far more reliable and cost-effective piece of equipment than an inkjet. However, we live in a world of inequality, and inkjet printers play a big role in it. Laser printers may produce crisper text, but inkjets can’t be beat for photo printing. Inkjet printers will accept photo stock paper, as well as card stock, fabric, image transfer paper, and more. If you want to print something other than black text on plain paper, an inkjet printer may be a better choice. Once upon a time this was a much more difficult choice to make. Laser printers used to cost two or three times more than an inkjet. But technology has advanced to a point where both color laser and color inkjet printers cost about the same. The only difference is replacing ink or toner. Toner cartridges offer a far better value than ink. Ink is more expensive than the world’s finest champagne! Toner cartridges aren’t cheap either (even if you sell your old ones for cash), but replacing a toner cartridge costs you less in the long run than ink cartridges. Get a drop of water on an inkjet print and it runs and blurs like a picture of Dorian Gray! Toner is bonded to the paper and more durable. Ever see a leaky toner cartridge inside a laser printer? Consider yourself lucky if you haven’t. Inkjet printers are best suited for small, image-heavy documents, like photos and school projects. But laser printers are faster. A laser printer can pump out between 15 to 100 pages per minute, while an inkjet reaches max speed at only 16 pages per minute. Laser printers beat inkjets in terms of both print speed and the overall number of pages they can produce on a monthly basis. If you’re looking for a printer that can handle heavy volumes of text-based documents, a laser printer is the only way to go.